Tossing your phone in your purse can be risky. You never know what's lurking at the bottom of your bag just waiting to scratch it up. 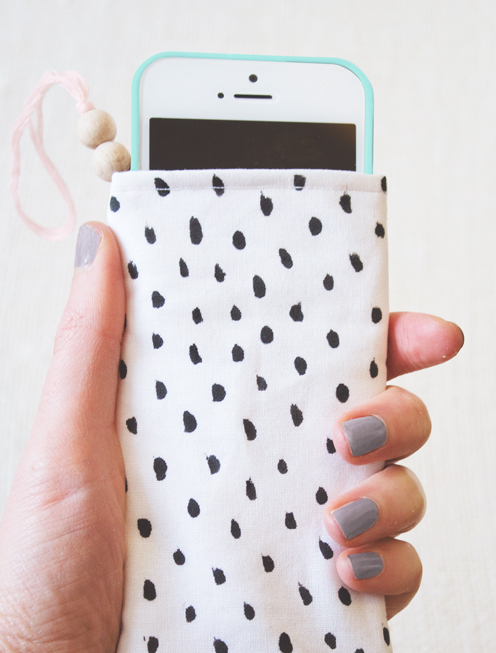 This DIY is a cute way of avoiding that disaster, and the felt interior will be sure to keep your phone safe from scuffs. This tutorial uses a sewing machine, but if you're willing to spend a little bit longer you could stitch it by hand.